Welcome to my personal profile page. Let me tell you a little bit about myself. I consider working as a therapist to be a great privilege, but with that privilege also comes a responsibility to do the best I can to help you to achieve your goals. 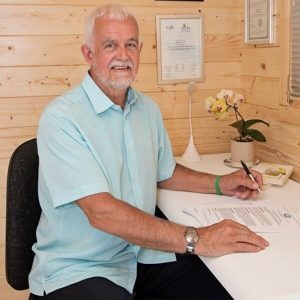 Whether you are considering counselling, psychotherapy, hypnotherapy or coaching, all of which are explained on the relevant pages of our website, I feel confident that I can give you the best possible treatment to help resolve whatever is troubling you. I first started my training in 2007 and have never stopped learning since then, both by the experience of working with many clients and also continuing to attend many courses and workshops as well as reading and researching new and different ways to enhance my core skills. How does this help me to help you? By having a wide range of tried and tested skills, my aim is to support and help you in the best possible way. I feel that I have a friendly, confident and professional manner and would like to assure you that I am happy to discuss and explain any suggested treatment to make sure you are comfortable with it before proceeding. Free first 20 mins of your initial 60 min session, which is at a reduced rate of £35. The first session will involve a thorough assessment to identify and clarify your requirements. 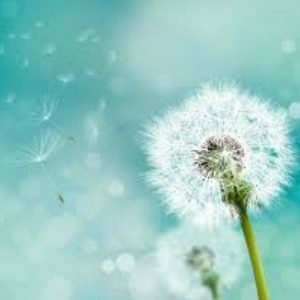 A proposed treatment plan and timescale and a useful ‘tool’ for you to take away, such as a relaxation technique to help you to feel calmer between the sessions. Please note that my sessions are for a full 60 mins as I like to give you value for money. Most therapists provide only 50 min sessions which means that you will receive 6 sessions for the price of 5! It was my daughter’s arachnophobia, an irrational fear of spiders, that brought about my first contact with hypnotherapy. I had tried for over twenty years to convince her that spiders were harmless but without success. When a hypnotherapist cured her phobia in just 3 one hour sessions I was astounded and I just had to learn more about this amazing treatment! I already had a long-standing belief in the healing power of the mind and when I started to study hypnotherapy, a lot of things seemed to fall into place. I was totally absorbed by the many different methods that can be used to treat such a wide variety of problems that affect all of us at some time in our lives. I eventually gained my diploma and as often happens, the more I learned the more I wanted to know! I went on to study counselling, which seemed a natural progression to further build my knowledge and skills in this fascinating field. It soon became apparent to me that the effectiveness of these two separate disciplines could be so much greater when they are combined. The value of that formal extended training cannot be overestimated, however it is probably true to say that I have learned as much from my clients themselves and working with them, each with their own unique experiences, personalities and ways of responding to therapy. I feel very privileged not only to have been part of their healing process, whatever form that may have taken, changing the negative aspects of their lives into positive empowerment, but to have had the opportunity to learn something from each of them. My continued training and development as a hypnotherapist has led to my becoming an NCH accredited hypnotherapy supervisor. This means I am registered to supervise fellow hypnotherapists on behalf of the GHR and the National Hypnotherapy Society. Prior to becoming a hypnotherapist, I spent some time in the Ambulance Service. My experiences in that service led to me taking a special interest in pain management. I have studied the ways in which therapy can work alongside medical treatment in helping both sufferers and their carers to accept and take control of their situation, often giving them increased mobility and improving their quality of life. My original motivation for studying hypnotherapy has led me to undertake extensive training and research in the treatment of phobias and I have worked successfully with many people with a wide variety of fears and anxieties. People often feel embarrassed to admit to their phobia. They may have been teased and even ridiculed by family, friends and work colleagues, but to the sufferer the fear is very real. The solution needs to be specifically tailored to suit them and their particular situation. I have been a volunteer bereavement support worker since 2008 at Forest Holme, a palliative cancer care unit associated with Poole Hospital. The specialist training, ongoing support and supervision I receive there has always been amazing. This has provided me with the skills and experience needed when working with people who have suffered the loss of a loved one. When we are born, the only thing that is certain is that one day we will die. It is a well-researched and documented fact that people who are prepared for death will die much more peacefully and I see my role as supporting, informing and helping you to prepare for that time as much as possible. John Sackett specialises in bereavement counselling in Bournemouth, Dorset. John explains more about the process and shows to look at it in a comforting and helpful way. John Sackett who helps by counselling in Bournemouth says more people than ever are suffering from stress and anxiety. Discover the difference between the two in the radio interview below. It’s time to make your new years resolutions. John Sackett from Swans Therapy offers you powerful suggestions to help achieve your goals..